Don't buy this hunk of junk - get rekt you will. It's not called "premium ammo" anymore, damnit! They changed the name to "money shots" a few months ago. Do try to remember that! Saw the advert, yet another one, saw the comments and started to comment then thought, what's the point? I am going to play anything else for a bit! Advertising at its best/worst is offputting and annoying. WG, you reached the annoying advertising peak some time ago, now I simply switch games! See you later! A tier 7 gun that sees 5 tier 9s almost every game. A tier 7 gun that sees 10 tier 8s almost every game. A tier 7 gun that sees 5-10 OP pseudo tier 9s almost every game. 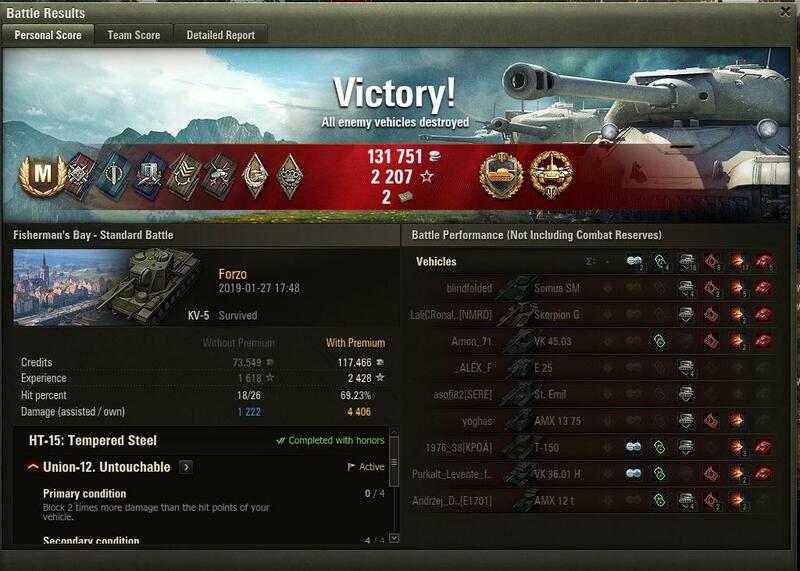 Pref MM tanks massively under powered with the current match maker. OMG WG, it's 1st of April of what? Oh, the KV-5. How I loved you, and still want to. Alas, it's At least they're marketing it as a rammer - since it sure as heck isn't up to WoT's usual "superheavy" standards. In the current meta and matchmaker, I would not recommend it. It's a surefire way of getting a (super)heavy tank on the enemy team (according to the 9.20(.1) subclass system), while you're playing a 'flanking HT'. It says a lot that the KV-5's armor was declared one of the most effective at its tier - yet they still opted to go for a 'compromise buff' to the gun and armor - leaving none of them as true 'mainstays'. I'll leave the detailed description to WoT's fantastic Wiki. This tank is known for its many weakspots as well as its impotent but fast-firing 107 ZiS-6M. It's surprisingly fast for a heavy tank, which tends to come in handy when you fail to pen your opponents. Being extremely heavy and featuring a high top speed enables ramming of other tanks - adding to the damage output. The KV-5 was buffed in 9.2. This buff was received badly by the community, and largely viewed as a pointless attempt at improving things that were fine while failing to address the core issues. This is in large part due to the KV-5's status as a 'veteran tank', that unlike the Type 59 has yet to see any competitive buffs. There are many weak spots on this tank, which even after buffs to the armor model (9.2) means that you'll bounce close to nothing in an 'aimed brawl'. There are also a lot of flat surfaces of the turret. Granted that your extremely non-meta penetration values (both for AP and APCR) allows you to do anything but ding your opponent, the KV-5 can certainly be a force to be reckoned with. Just not against T9s, or even most T8 heavies. Or hulldown medium tanks, for that matter. Oh, and you probably won't spot any 'vision gaming' tank destroyers either. In short, the KV-5 is a Swiss cheese roadblock that can work well if it doesn't face any armour. Does fit an aggressive playstyle rather well, but not worth your hard-earned money. This tank was removed from the in game store with the introduction of version 0.7.5. Oh, and don't get the FCM either. It has similar issues, being a heavy tank without armor. It's funny, really. The KV-5 got an armor buff (among other things), while the FCM 50t got a buff to engine power. It's the stuff that you can't make up - though I do suspect that there might be incremental buffs to them over time, just like our dear Type 59. Edited by kubawt112, 19 February 2019 - 12:29 PM. You’d be lucky to sell many of these XP Piñatas if they came tank alone. Edited by Badz360, 19 February 2019 - 11:29 AM. Hide your defenders bois, KV5 is coming . You had the right idea of buffing it and removing pmm but stopped that plan due to complaints from people who would rather keep pmm than have a decent tank. Should have found some way around it and gone ahead with decent Buffs to them all. ​Some people don't understand the power of the KV5! I have one since ever. I play it from time to time and i have my fun. But i would not recommend anyone to buy it now. For the same money, buy something else. Some people don't understand the power of the KV5! The potential value of this tank is 25-26 euros , put it without needed boundle and you will have buyers at this point with is3a -defender , wallet closed. Edited by Morgan_the_Reaper, 19 February 2019 - 01:11 PM. 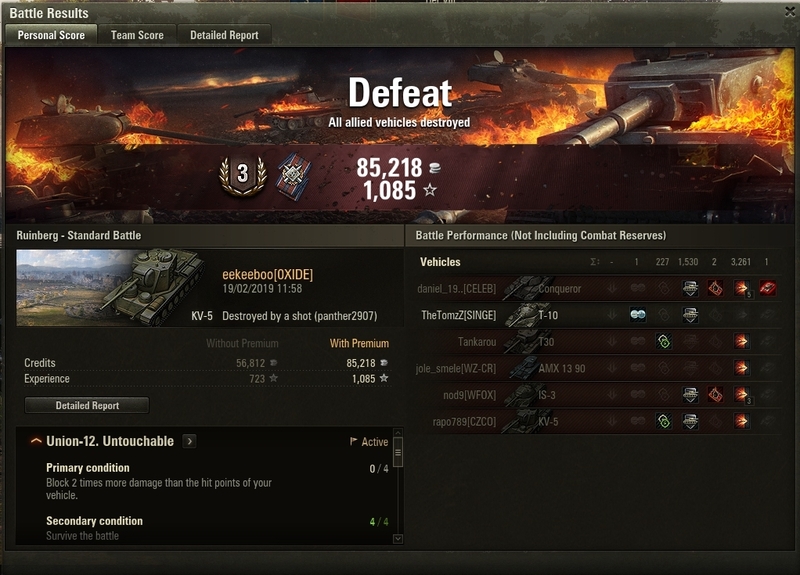 I have it from the ancient times of WoT and I can tell that in today's meta it is totally garbage. Don't waste your money. Oh the memories, I bought this when I had less than 5k battles played thinking I was going to rule the battlefield. Then I sold it out of pure frustration and noobness. I got it back through the ”whatever you call it” sold premium tank return for credits thingy and promptly sold it again in a “what was I thinking?” thingy a few months later. I saw one in battle the other day driven by a good player and and he got decimated in a few minutes.....I think he was trying to ram someone at the time...lol. Lol, I saw one in front lines, I was so surprised I stopped what I was doing momentarily and got reckt due to my shock at seeing one in battle, I think I can count on one hand the times I have seen these things in battle. This is a tank you only have to look at to see it is garbage, like cross between the rubbish KV2 and the horrible KV4, I cannot see one thing about this to even consider buying and would not do even if were only a fiver, the price it should actually be. £35 for this, someone has been on the vodka a little too much. How is something with a power to weight ratio of under 12bhp a tonne a "dangerous Ranger"?? I bullied Conq with it by nudging, the weight and power is plenty! In this case, the rarer tanks are usually monetised in bundled, but in this case, the bundle with 3500 gold would be tempting as that's pretty good value, but I already have the tank! It was my go-to for ram kill missions! Why bother buying gold if it can't be used for the modern premiums that are actually good? Who doesn't like the cucumber and tuna sammiches! I still enjoy this tank, especially as defender in FL and the ability to hold a position, people usually panic and struggle to know where to shoot if you protect your R2D2! I have it since way back and play it from time to time. It's still fun to play and not that bad, but I don't think I would buy one now for this price. Edited by Forzo, 19 February 2019 - 01:42 PM.